Explore the latest degree advancements, awards and news from our Eastern Florida State College faculty. 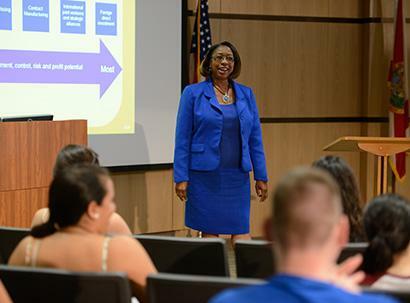 As faculty, what you do in the classroom is paramount to student success. Your participation in key college committees makes an impact as well, so click through for current needs. EFSC employs more than 1,000 full- and part-time faculty and staff, as well as hundreds of adjunct faculty members. We believe in a student-centered approach to learning based on our institutional mission and vision, plus the development of five key Core Abilities. 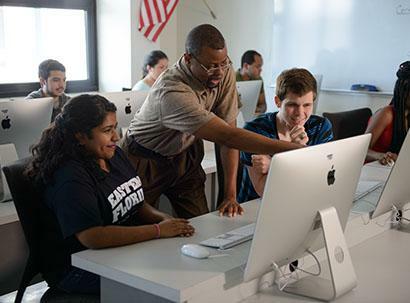 The Center for Teaching Excellence (CTE) at Eastern Florida provides a clearinghouse for most information related to teaching at the College, whether an instructor is brand new or has been teaching here for years. In addition to serving as a facilitator for professional development, the CTE highlights faculty achievements and news.